We were going to have a picnic today, but because it had been raining earlier it got cancelled. Capoeira and wet grass don’t mix! The purpose of the picnic was to raise money for the victims of the earthquake in Nepal. 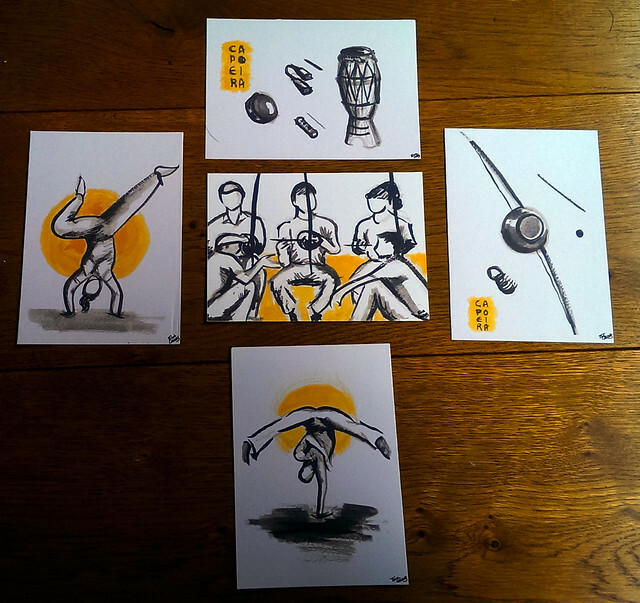 Nevertheless, Eva designed a set of Capoeira postcards to raise money for the cause, and I got five. I’m currently trying to get as much Capoeira themed art for my house and this will be a treasured addition to the collection. Just need to find a five aperture frame, but there are lots of them around these days. You can find anything on the internet! The music class itself was quite special. Mestre Poncianinho is putting a show on, scheduled for October, and today, as well as the customary music class instruments, there were two people on guitar, one on the base and even a trumpet! 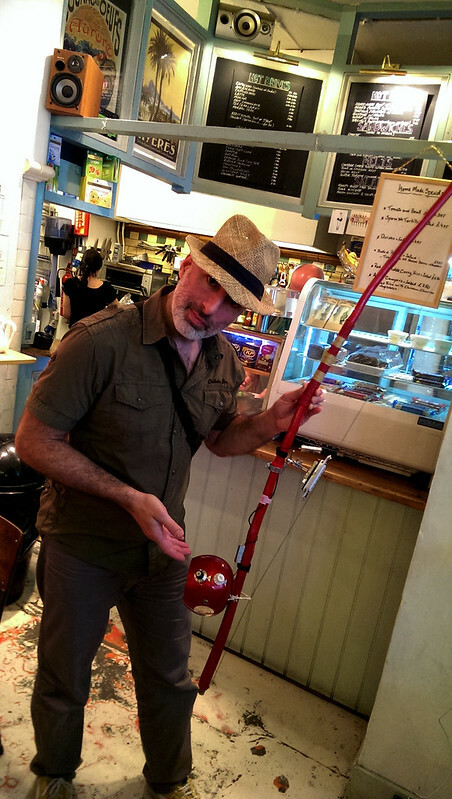 And then the pièce de résistance: a superb electric berimbau, designed and built by Neil Emmanuel. I was mesmerised when I saw it, and also very happy – these unexpected pleasures in life can sometimes wash all your worries away. 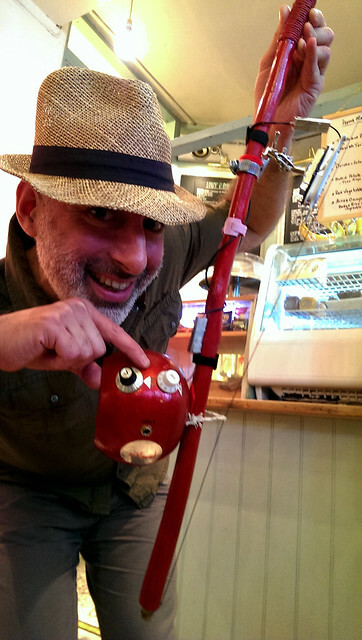 The amplifying is done on the string itself, not the cabaça (for that you’d only need a microphone, I guess). Anyway, a picture or three speak a thousand words – and I haven’t got much else to say, so here they are! 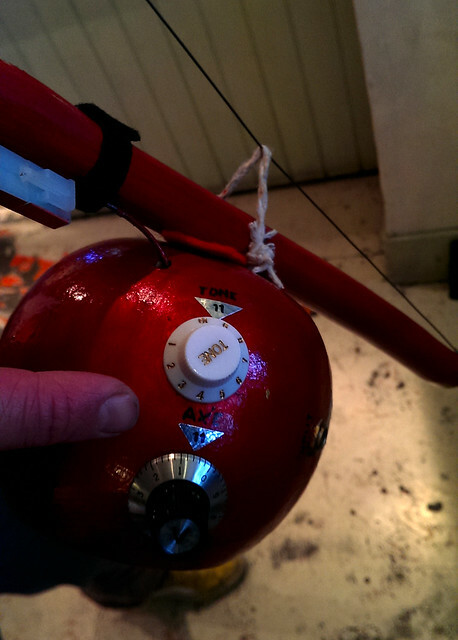 The axé knob controls the volume, of course! As we say in Portuguese: Muito massa! Muito fera! Do bicho! (at least that’s how people spoke back in the late 80s, when I was last immersed in the language). Sick innit blud? Like any self respecting musical knob, this goes up to 11, spinal tap style!